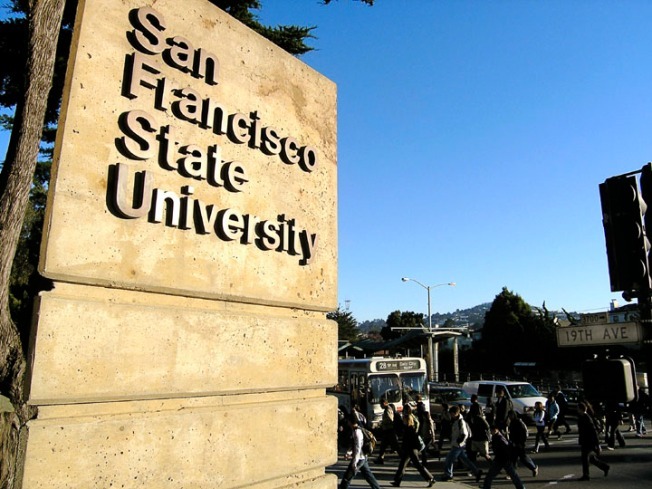 A San Francisco State University professor was targeted in fliers posted around campus, prompting a police investigation. The fliers posted overnight tied ethnic studies professor Rabab Abdulhadi to the hashtag "#JEWHATRED" and claimed she is conspiring with terrorists. SFSU President Les Wong in a letter to the campus said the fliers were "posted by an outside extremist group." "Let me be clear, this is not an issue of free speech; this is bullying behavior that is unacceptable and will not be tolerated on our campus," Wong wrote. Students said the hateful message does not belong on campus. "It's pretty hateful," student Yodha Dasz said. "Hard to believe people would do that."